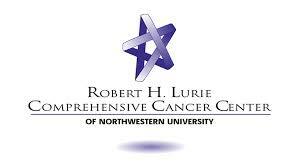 Every new patient seen at the Lynn Sage Breast Center is screened for eligibility in one of our many ongoing clinical research trials conducted by Northwestern Medicine. These trials are designed to answer important medical questions, which may ultimately help patients in the future or may directly benefit you. The trials are designed to answer very basic science questions, improve breast cancer prevention, breast cancer screening or treatment. Treatment trials are designed so that the care you receive is at least as effective as the best current treatments and possibly better. Each trial has been carefully reviewed and approved by an Institutional Review Board composed of health care professionals, scientists, nurses and others from the community. They make sure the research is valid and they monitor the studies to make sure there is the least possible risk to volunteers. They also make sure volunteer selection is fair and that informed consent is done correctly. If our research staff determines that you may be eligible for a particular study they will meet with you and explain the study in detail, answer any questions that you may have and have you sign a detailed consent form. Participation is always voluntary and although you may withdraw from ﻿the study at any time without compromising your future care we encourage you to carefully consider the study before agreeing to participate. Early withdrawal should be avoided because the success of the trial depends on our ability to collect complete data. I encourage all of my patients to consider participating in clinical trials because the advances we've made in the screening, prevention and treatment of breast cancer were made possible by past volunteers such as yourself. Should you have any questions about a research study please don't hesitate to contact the research staff or myself.